Sergio Romero has played every game so far this season. 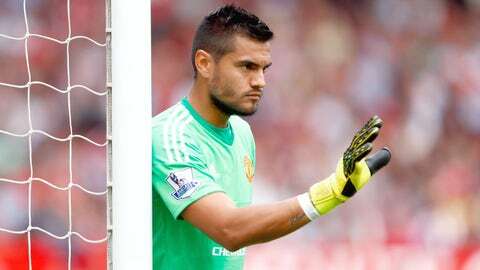 Louis van Gaal admits he does not yet know whether Sergio Romero is up to the job of being Manchester United’s No.1 on a long-term basis. Romero joined United on a free transfer in the summer having run down his contract with Sampdoria, and despite being signed as back-up, the Argentinian has played every game so far this season with David De Gea left out as the saga around the Spaniard continues. The 28-year-old has conceded only one goal in his five matches so far, but Van Gaal believes that record is due more to United’s defensive qualities, with Romero yet to be properly tested. Van Gaal said: "I don’t think he is up to it yet because, until now, we haven’t allowed a lot of shots or moments in our 16-metre area. "I think he has made very good saves but until now I think only maybe the save in Brugge at 1-0 was very important, but he did also a save against Tottenham. "So he could not show what he can show, I think, but that is only a compliment for the team. We wouldn’t have bought him if we didn’t believe in him. "The difficulty in training was the co-operation between the new players and him. 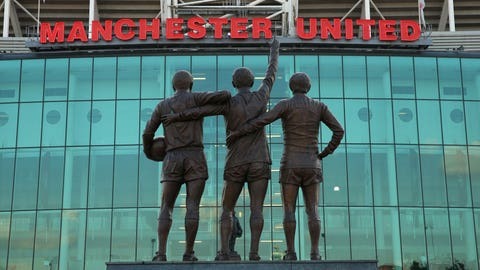 We have had special training sessions not only with him and the goalkeeping coach Frans Hoek, but also with the players. "We have given a lot of attention to that and because of that we could overcome that."